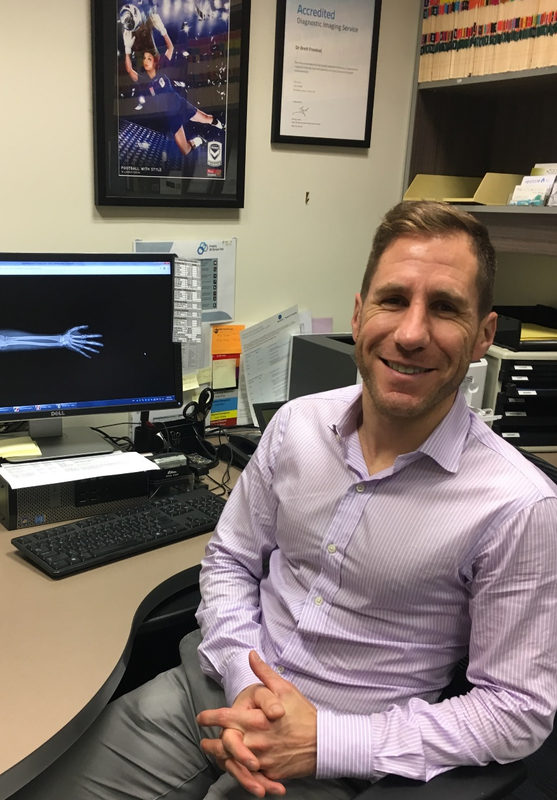 Dr Brett Frenkiel works full time in Sport and Exercise Medicine and has a passion for treating all musculoskeletal injuries. After completing his undergraduate degree in biomedical science at Monash University, Brett graduated in medicine from Bond University in 2009. Ranked amongst the top of his class, he received multiple awards for academic excellence as well as the prestigious vice chancellors award. Following this he trained as a junior doctor with Austin Health where he gained extensive experience in general medicine, emergency medicine, paediatrics, trauma and surgery. Dr Frenkiel spent two years at Monash University, researching new ways to treat problematic inflammation and fibrosis. Brett is committed to constant learning, development and research. He has multiple publications in respected medical journals and has presented his work at international conferences. Brett has spent the last two years of his sports and exercise medicine training at Olympic Park Sports Medicine Centre. Dr Frenkiel has extensive sports medicine experience working with several different teams. Following two years as chief medical officer with Port Melbourne in the VFL, Brett completed a two year AFL medical Fellowship with St. Kilda football club. Brett has worked with A-league teams, Eastern Ranges TAC Cup, Melbourne storm U-16’s, Olympic winter institute of Australia and Melbourne City’s youth team. Currently, Brett is Chief Medical Officer with Sandringham in the VFL, Medical officer at St. Kilda in the AFL, Melbourne Victory youth team Doctor and Team physician for the National Under 17’s soccer team. Brett lives an active and healthy lifestyle and is passionate about all things sport. His own personal highlights include captaining the Bond University AFL team at two university games as well as representing Australia five times at international level, playing for the “Docceroos” in the world medical football championships.